I am neither here to attack Strive Masiyiwa nor defend him but some issues raised by Prof Jonathan Moyo are pertinent. I am anxious to see how Masiyiwa is going to cleanse himself. The cold war between the two reached climax by the response of Prof Jonathan Moyo of 07/01/2019. The purpose of this piece is to elaborate the key points so that people off twitter can be enlightened as well. Prof Jonathan Moyo is a strong character and always stand by whatever he says. He has been speaking the truth since the time that he left the ministry of information and publicity docket. I am convinced that most of his accusations against Strive Masiyiwa can be true. There is a sense among the opposition supporters that Masiyiwa has been bullying them (of late) because of his financial muscles. Prof Moyo alleged that Strive Masiyiwa has been an underground member of the Lacoste wing of ZANU PF party which he claimed to have been a brainchild of the current president ED Mnangagwa. He went on to say that president ED Mnangagwa was behind the creation of Econet but Masiyiwa managed to overpower (fellow ZANU PF Lacoste businessmen) and gained total control of the telecom business. Prof Moyo claimed that, it was not because of championing human rights that Strive Masiyiwa fell out of the former president Mugabe's favor. The bad blood was ignited by a shoddy work that was done by Masiyiwa's company called Retrofit in the rural area of Zvimba. Is it true that Strive Masiyiwa owns such company? Is it true that he had such kinds of business ties with the first family? It is not a crime for Strive Masiyiwa to have such kinds of business relationships with the first family, but may be problematic if indeed the relationship was underground. 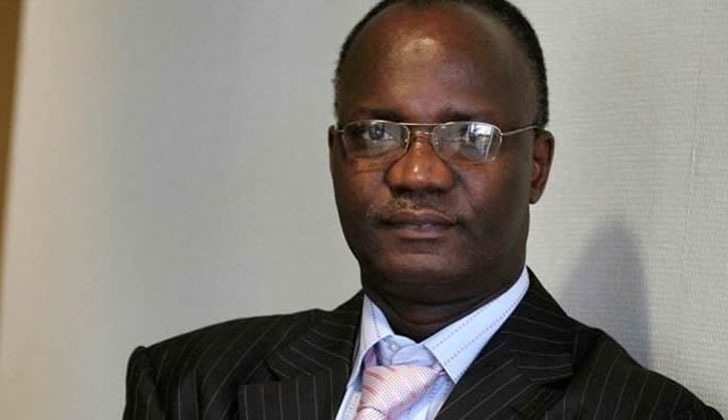 Prof Moyo claimed that, Strive Masiyiwa's company gave ZANU PF $45 million to fund the runoff elections of 2008 and the money was used to by grains. In 2013, Prof Moyo alleged that Masiyiwa's company gave ZANU PF $60 million to fund 2013 elections behind the back of then minister of finance Tendai Biti. Another arrangement was made by Lacoste wing on behalf of the government and $30 million was dished out by Masiyiwa's company to pay civil servants. Prof Moyo claimed that, the license of Econet was almost cancelled because of the damning report produced by CIO highlighting the shoddy deals that the company was involved in. It was alleged that the company was forgiven because of the history of monetary contribution to ZANU PF by Strive Masiyiwa. This allegation sounds to be serious and criminal (if true). Is it true that Econet has been involved in corrupt and criminal games? An investigation may be needed to ascertain what expired between Econet and CIO investigation. If the alleged cash transfers are true, Strive Masiyiwa should repent, pray and ask for forgiveness from God and the late Morgan Tsvangirai. Strive Masiyiwa should stop silencing fellow citizens because of his financial muscles. I often heard him saying I did that…. I did this….. while trying to silence his critics. Strive Masiyiwa should come out clean on Prof Moyo's allegations.